Family meetings and with friends are not always easy to organize. We know it and, for that reason, we offer you a catering service at home in Malaga full of organic food. Authentic flavors and quality make up each of our dishes. Our team is responsible for bringing the freshest and seasonal food from Spain to your table. We only reach agreements with local producers, so our dishes are made up of seasonal products that we get the most out of. A careful and colorful image floods our kitchen. 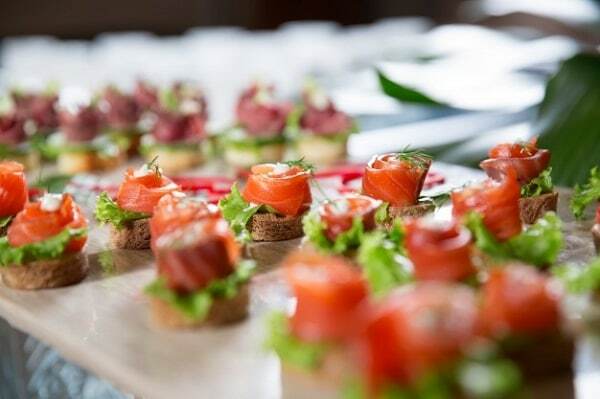 We encourage you to customize the catering and let you advise by our professionals, who will help you choose the best menu for your guests according to your tastes. We are committed to be punctual and serious with our work: the menu will not be changed at the last minute on our part and the food will arrive at the table at the exact time we have scheduled. In addition, we take care of organizing the event so that you only have to worry about tasting the menu. Ask for a budget now for a home catering service in Malaga and we will contact you shortly. You are one step away from savoring our dishes!